The Norwegian foundation Livsglede for Eldre (Joy Of Life For The Elderly) is an independent public health organization, engaged in social innovation within volunteer work, education and elder care. The foundation is religiously and politically independent. Livsglede for Eldre was founded in 2006 by nursing school students who wished to make a supplement to public health services for the elderly. It has evolved into a national organization ever since, and is now a significant social innovator in Norway. Livsglede for Eldre has developed, owns and runs the national certification system Livsgledesykehjem (“joy of life nursing home”). The idea aroused among nursing school students in 2007, with the thesis that it must be possible to run a nursing home with joy of life as a corner stone. A pilot project was started in cooperation with the municipality of Trondheim and the Governor of Sør-Trøndelag County in 2008. The certification system was then developed and tested at two public nursing homes, and the first two certificates were issued in 2011. Livsgledesykehjem became a national certification system the same year. Now it is being spread throughout nursing homes nation-wide in cooperation with the Norwegian Ministry of Health and Care Services and the Directorate of Health. Livsgledesykehjem is a system tool for nursing homes, based on nine criteria (see below), aiming to stimulate each individual resident´s psychosocial needs. Cultural, spiritual and social needs are as important as primary needs, and through Livsgledesykehjem, everyday life becomes more joyous and meaningful, even for the most fragile. The system is based on a thorough interview regarding each resident´s life history and personal preferences. This is the basis for individual activity calendars, the activities are implemented, documented, evaluated and updated. The system ensures that planned activities are indeed meaningful for each individual. By linking Livsgledesykehjem to the institution´s internal systems, the work becomes sustainable, regardless of who is at work. It encourages activities that are possible to carry out during regular workdays, without extra staffing. To succeed, the nursing homes must establish sustainable routines for cooperation with volunteers and external resources, e.g. children and school pupils, relatives and next of kin, non-profit organizations, sports clubs and local businesses. All staff at the nursing home must know what Livsgledesykehjem is, and its implications. 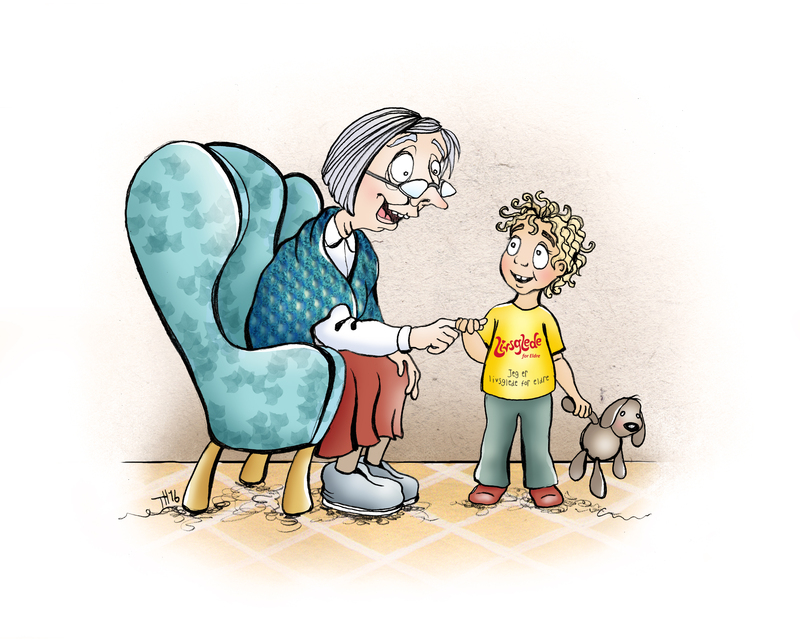 The nursing home must facilitate cooperation with schools, kindergartens and other organizations. 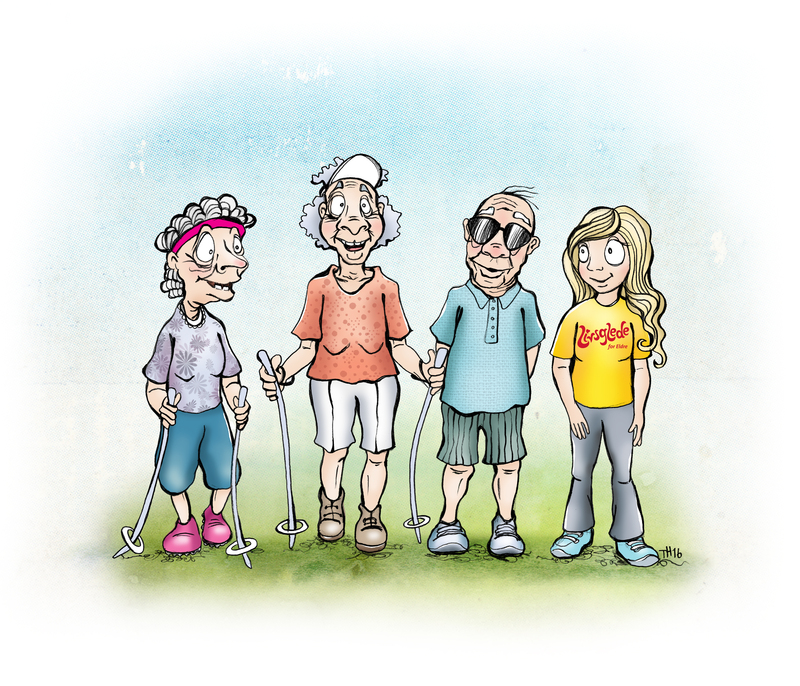 The nursing home must facilitate that every resident can go outdoors to enjoy the fresh air at least once a week. The nursing home must facilitate interactions between residents and animals they wish to meet. The nursing home must ensure that their residents can maintain their hobbies and interests. The nursing home must ensure that their residents experience meaningful musical and cultural stimuli. The nursing home must facilitate a pleasant atmosphere during meals. The nursing home must ensure good practices for communication with family and next of kin. The nursing home must ensure that seasons and holidays are noticeable in daily routines. Most elderly find great joy in the company of children and youths, but most young people do not associate with the elderly on a frequent basis. We have therefore developed programs for kindergartens, schools and high schools. By organizing activities through kindergartens and schools, we create a sustainable learning environment, which has a health promoting effect on both young and old. This also gives the nursing home residents a chance to be an asset to the children. For students in high school health programs, it is a golden opportunity to get practical hands-on knowledge about medical issues, but also a glimpse into elder care practice. By establishing a partnership with nursing homes, students are regularly provided with a learning arena similar to their future profession. With emphasis on communication and “golden moments” in a nursing home environment, they are trained in person-centred care. 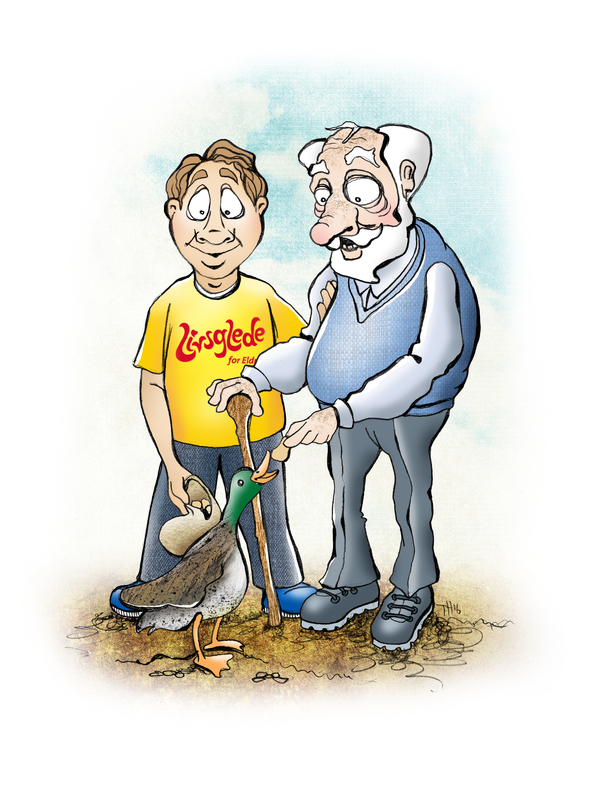 We aim to promote our next generation with a different view of the elderly, so that they see them in the light of who they are, and who they used to be. Our hope and firm belief is that structured cooperation between schools, kindergartens and nursing homes will encourage young people to choose a career within elderly care, alternatively to engage in volunteer work within the sector. We have several subsidiary local chapters with volunteers of all ages in most parts of Norway. Each chapter has their own board, and are free to decide which events they wish to arrange for elderly in their local community, and how often. Livsglede for Eldre provides local chapters with guidance and counselling by their own choosing. If you want to learn more, contact us at post@livsgledeforeldre.no.